Second Hand garage in iglesia area area sant joan de vilatorrada. Second Hand garage in anselm clave area sant joan de vilatorrada. Economical garage to buy in sant mateu area sant joan de vilatorrada. Second Hand garage to buy in tarragona area sant joan de vilatorrada. Discounted Price garage to purchase in francesc macià area santpedor. Discounted Price garage in joan xxiii area santpedor. Second Hand garage to purchase in joan xxiii area santpedor. Second Hand garage in vic area manresa. Second Hand garage to buy in pere iii area manresa. Discounted Price garage to buy in llibertat area manresa. Second Hand garage to buy in sant joan d`en coll street area manresa. 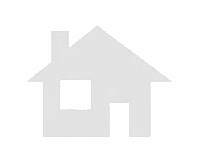 Economical garage to buy in prudenci comellas area manresa. 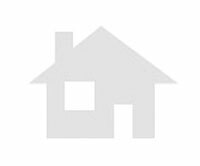 Economical garage to buy in sant joan d'en coll area manresa. Second Hand garage to purchase in poble nou area area manresa. Second Hand garage to purchase in ctra.vic-gasolinera area area manresa. Discounted Price garage in sant josep area manresa. Discounted Price garage in concòrdia area manresa. Discounted Price garage to purchase in vic area manresa. Discounted Price garage in vic area manresa. Discounted Price garage to buy in sant joan d'en coll area manresa. Second Hand garage to buy in gaudí area manresa. Second Hand garage in passeig pere iii area area manresa. Economical garage in gaudí area manresa. Economical garage to buy in concòrdia area manresa.